Queen Elizabeth I was the daughter of King Henry Vlll and Anne Boleyn. Elizabeth was born in 1533 and died in 1603. She was the Queen of England from 1558 until she died at the age of 70. 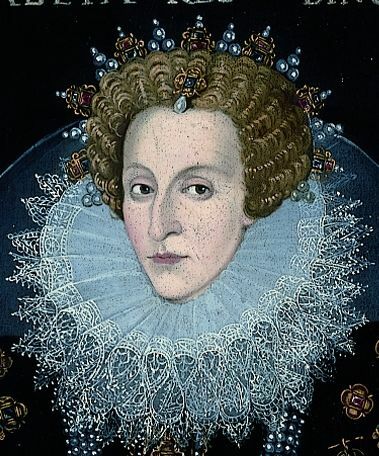 The portrait below of Queen Elizabeth I pictured here is thought to be a Victorian copy of a painting by John Bettes. What Clues can we Discover in this Portrait? If you look at the picture closely you can see a large ruff around her neck made of decorative lace. The bigger the ruff you wore, the richer you would look. Can you spot the pearls and jewels on her bodice? Pearls were not available in England at the time and had to be imported from overseas. Look carefully at the decoration on her sleeves and collar. Can you spot a rose symbol ? What did the rose mean to the Tudors? Why do you think the Queen is wearing dark colours? 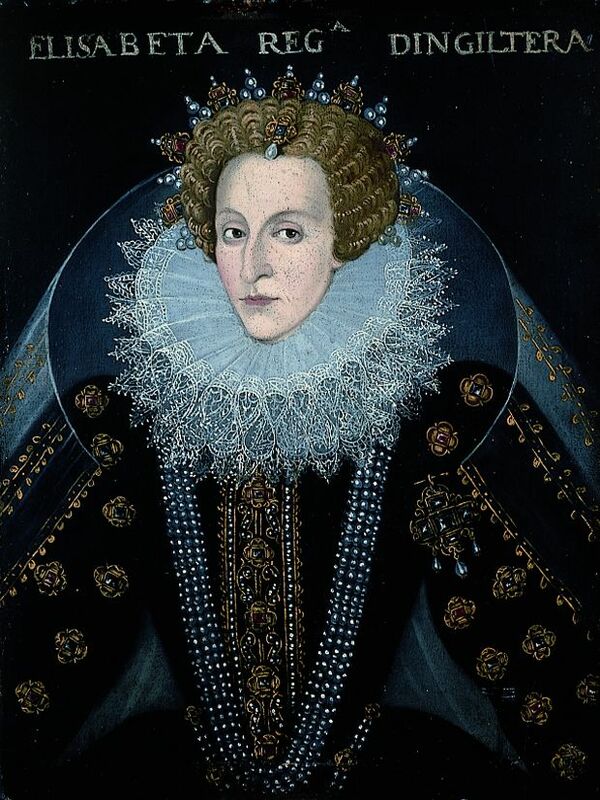 What do you notice about the size of Elizabeth I's clothing? 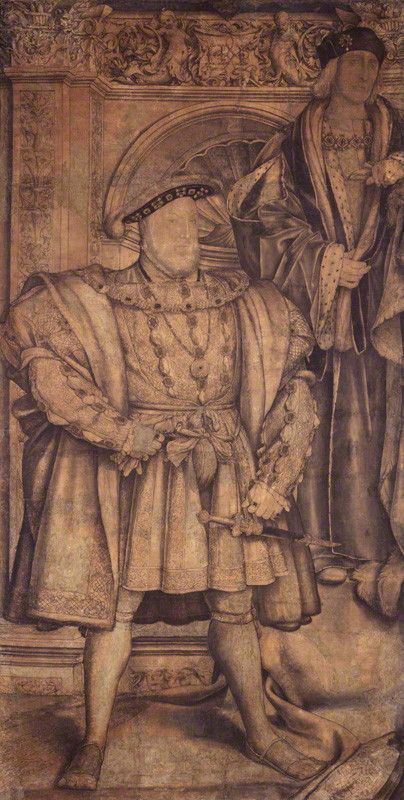 Look at this portrait of King Henry VIII. Why might monarchs have used padded clothes to appear larger? What do you think of the Queen's serious expression? 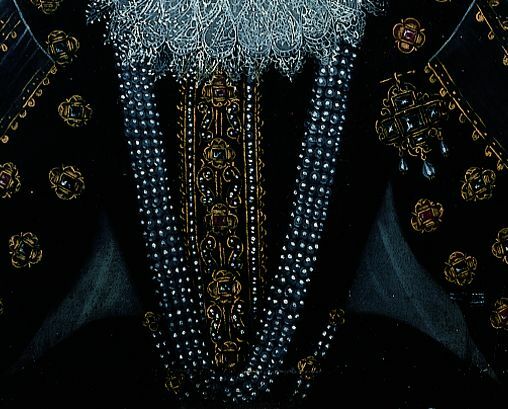 Tudors did not usually show their teeth in portraits. It would have been uncomfortable to spend hours posing for a portrait with your mouth open, but a closed mouth also hid rotten teeth. Queen Elizabeth, like many rich Tudors, ate lots of sweets containing sugar, which made her teeth decay as she got older. Sugar was then an expensive treat and less well off people would blacken their teeth with soot so that others would think they were rich enough to eat a lot of sugar.